Chronic sinusitis lasts way longer than an acute infection—and it's not the same as recurring infections either. Sinus infections come in many different shapes and sizes. While an acute sinus infection—also called acute sinusitis—is by far the most common, chronic sinusitis is no doubt the most miserable. By definition, chronic sinusitis is a sinus infection that lasts 12 weeks or longer, versus the seven to 10 days of an acute sinus infection. “Someone who’s got three months of difficulty breathing through their nose, decreased smell and taste, facial pain and pressure, and drainage without any breaks, that’s considered chronic sinusitis,” Christie Barnes, MD, assistant professor in the Department of Otolaryngology–Head and Neck Surgery at the University of Nebraska Medical Center, tells Health. Recurrent sinusitis (also called recurring sinus infections) is a little different still from chronic sinusitis. That’s when you have multiple sinus infections but the symptoms completely clear up in between. Usually, “recurrent” means at least four episodes in the space of a year. Here’s what you need to know about chronic sinus infections. 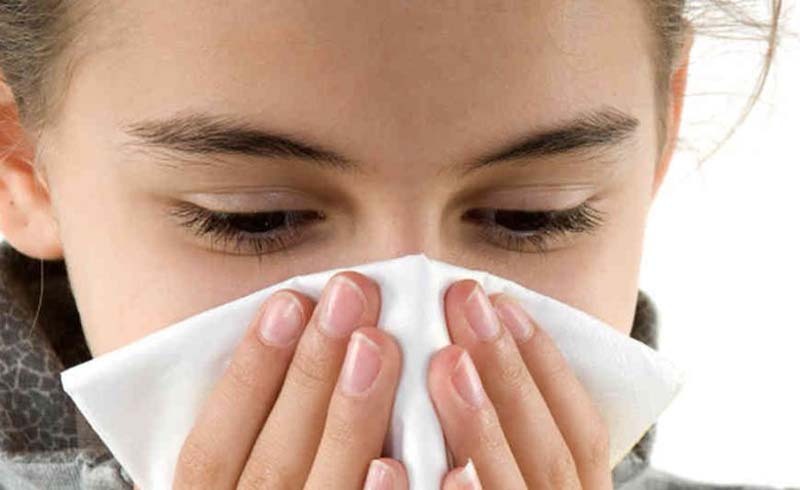 Most acute sinus infections are caused by viruses or sometimes bacteria. While this type of infection can be involved in chronic sinusitis, usually other issues are at play. “Chronic sinusitis doesn’t necessarily mean an infection,” says Dr. Barnes. “Some literature supports that it’s due to underlying inflammatory conditions.” About one-fifth of people with chronic sinusitis have asthma, for example. And underlying inflammation may even be due to uncontrolled allergies—not so much to seasonal stuff but to year-round triggers like dust, animal dander, and cockroaches. Anatomy can also play a big role. Anything that causes your nasal passages to narrow—like a deviated septum or nasal polyps—can predispose you to long-term sinusitis. Exposure to secondhand smoke and other pollutants and irritants can also skew you toward chronic sinus infections, as can cystic fibrosis (it affects your body’s ability to get rid of mucus), and immune conditions like HIV/AIDS. At its heart, sinusitis occurs when mucus gets backed up in your sinus cavities. Regardless of the cause, sinusitis symptoms tend to be similar. Blocked-up sinuses can make it difficult to breathe through your nose. Other classic signs are pain and swelling around your nose, eyes, cheeks, or forehead (corresponding to the different sinus cavities); post-nasal drip down your throat; nasal discharge; and a decreased sense of smell and taste. Some people with chronic sinus infections also have a cough, sore throat, and/or bad breath. In sinusitis, congestion is usually on both sides of your nose and head—though it may feel worse on one side than the other. Your doctor may diagnose you with chronic sinusitis partly depending on how long those symptoms have lasted. He or she may also use an endoscope to see inside your sinuses or even an MRI or CT scan to look for a root cause like nasal polyps. With chronic sinusitis, it’s important to correct any underlying cause like nasal polyps or uncontrolled allergies. Then your symptoms can be treated—and this is done in much the same way as for any type of sinusitis. “That’s really trying to address the swelling in your nose with topical nasal steroids and then nasal rinses to get the mucus going,” says Dr. Barnes. Nasal rinsing—also called naval lavage—systems are available at any grocery or pharmacy store (and online). A common one is a neti pot. Nasal corticosteroids are also available over the counter. Look for nasal sprays like Flonase, Veramyst, Rhinocort, and Nasonex. Pain relievers like acetaminophen and ibuprofen can help with the pain caused by sinus pressure, and antihistamines can help if you have underlying allergies. Decongestants should be used only occasionally, especially if you have hypertension issues. Mucolytics like Mucinex will loosen mucus, making it easier to drain. Work with your doctor to identify and address any risk factors you might have for chronic sinus infections. For instance, if you have nasal polyps blocking your sinuses, you may need to have them removed. 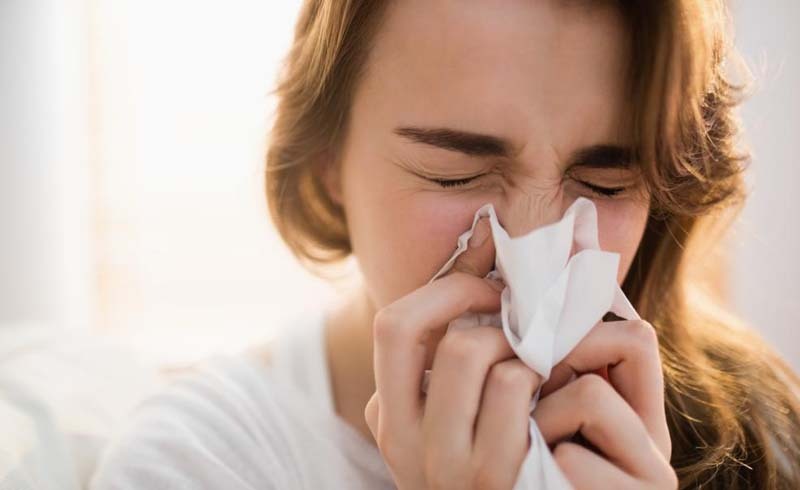 You can also ward off chronic sinusitis by staying away from triggers and making sure your allergies are managed, avoiding cigarette smoke and other air irritants, using a humidifier, and doing your darndest to avoid respiratory infections. U.S. Daily News: What Is a Chronic Sinus Infection?